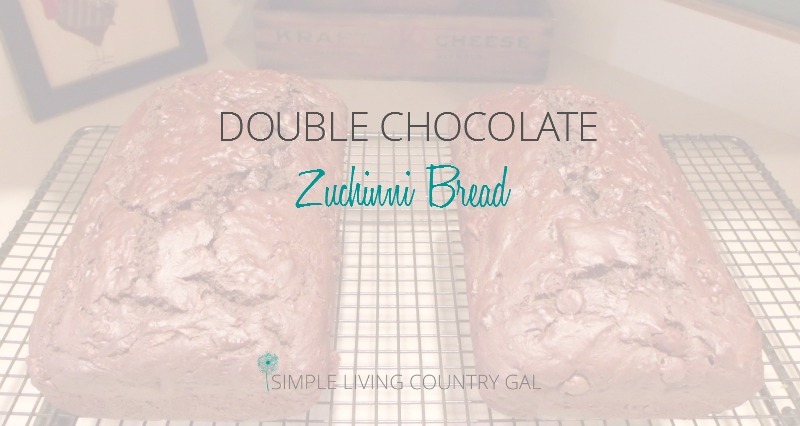 This is by far my favorite zucchini bread recipe. 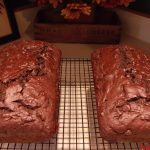 Super moist and full of flavor. Try it warmed in the microwave with butter or better yet topped with vanilla ice cream. 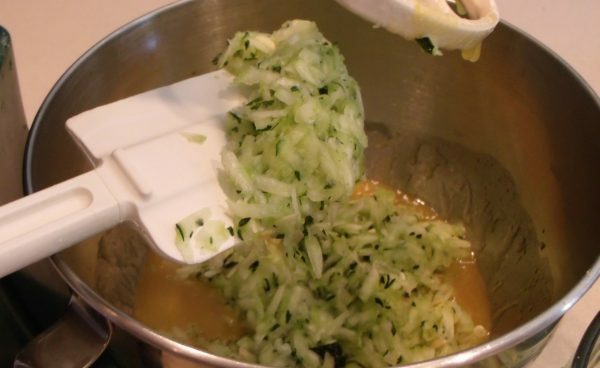 Each recipe uses one medium sized zucchini so it is perfect if you are overrun! Also, this bread freezes wonderfully. I usually make about 20 loaves. We had our last loaves in May of this year and it tasted just as good as when it was fresh. So fill those freezers up my peeps! PS….I have a crazy cool tip for you! 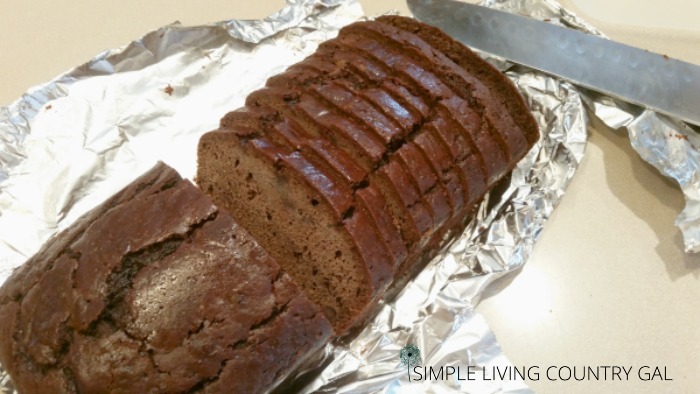 If you have made this recipe you will find that slicing can be a bit tricky. The moistness of the bread causes the slices to break apart a bit. I found that if you freeze the bread and slice it WHILE It is still frozen will give you perfect slices every single time! Enjoy! Freeze your bread, slice it while it is still frozen for perfect slices! 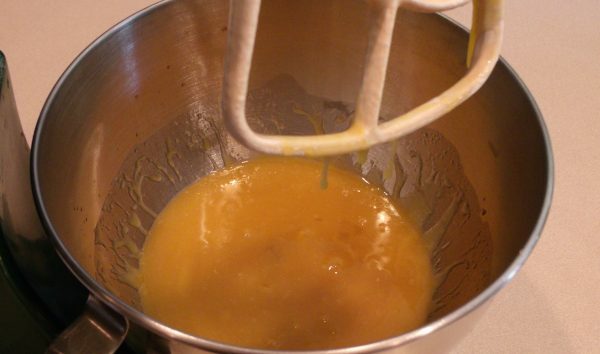 Combine eggs, oil, sugars and vanilla. 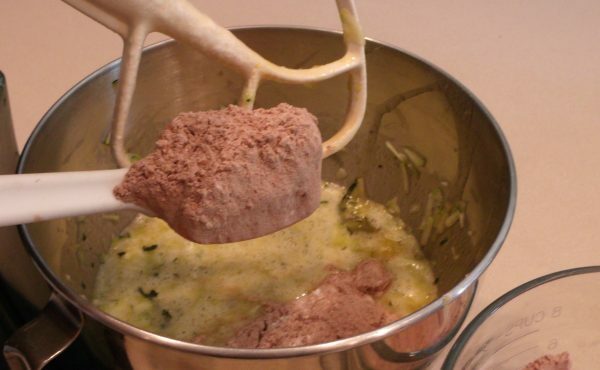 Combine dry ingredients, slowly add to wet and mix well. 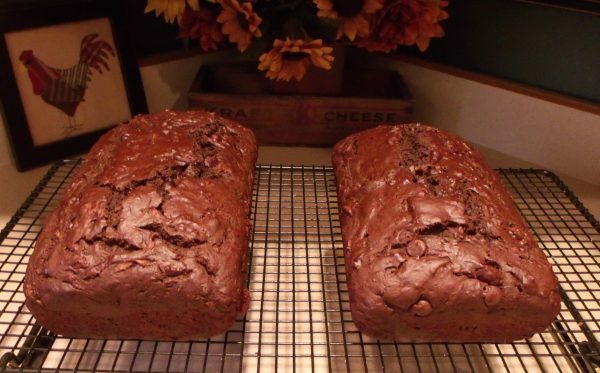 Butter 2 loaf plans and sprinkle lightly with cocoa. 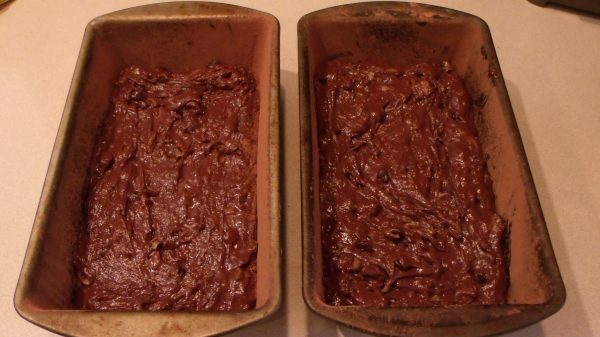 Pour batter into pans and bake 45-50 minutes in a 350 degree oven. Bread is done when a toothpick inserted in the middle comes out clean. 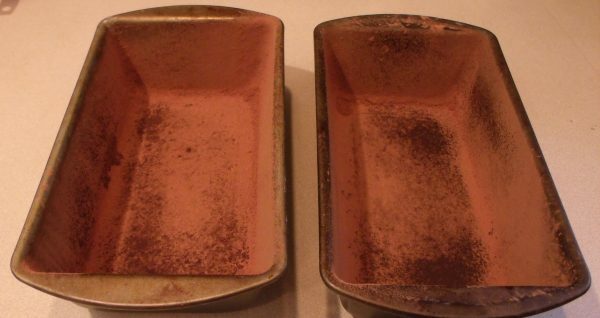 Cool in loaf pans on a wire rack for 10 minutes. Use a spatula to loosen loaves and remove. Cool on wire rack completely. This looks fantastic! We have more zucchini than we can use this year (on that note, recipes for summer squash, spaghetti squash, and butternut squash would also be welcome lol). 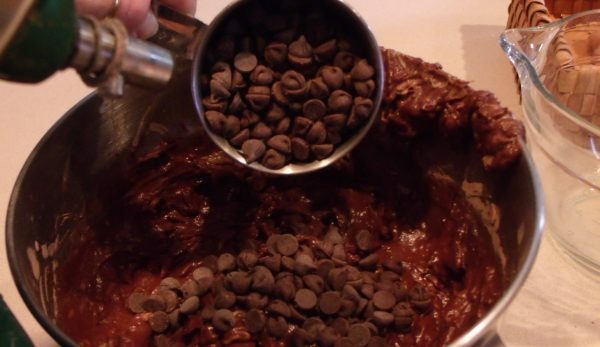 I’m gonna try this with almond flour instead of flour flour (for gluten free hubby). I’ll letcha know if it turns out that way! Please do Carly! I would love to hear how it turns out. 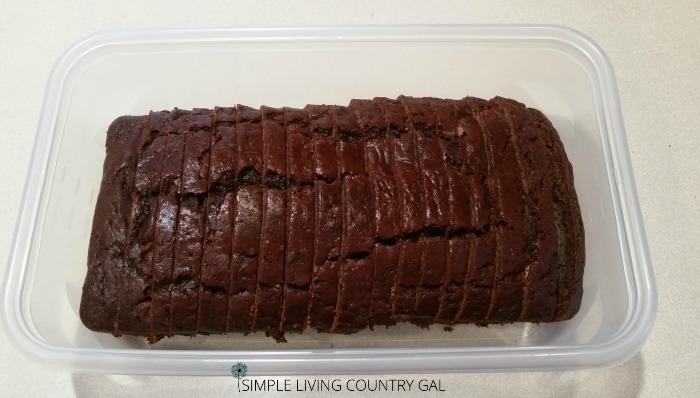 I forgot to mention that this bread freezes great, just double wrap and you are good to go!